“Atispatari” in Asháninka, the language of the citizen of Sondoveni, means “together”. 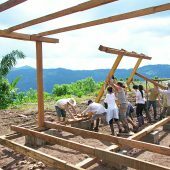 The project was planned and realized together with the student group Construye Identidad (PUCP Lima), the NGO Creciendo and the inhabitants of the native community of Sondoveni, Peru. 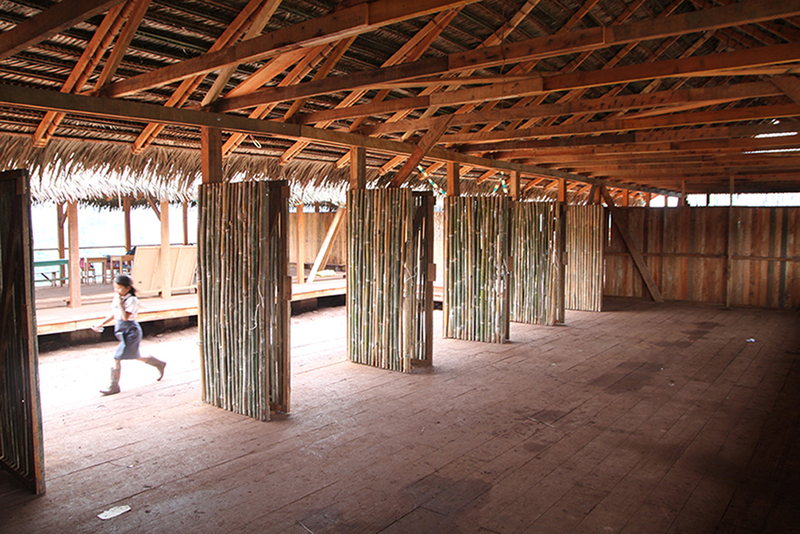 The design of the school was intended to reflect and embody the vernacular architecture. Using the local and environmentally friendly construction methods six classrooms, a dining room, library and staff accommodation were realised. The budget for the project, including construction, materials and transportation was approximately 55000€. 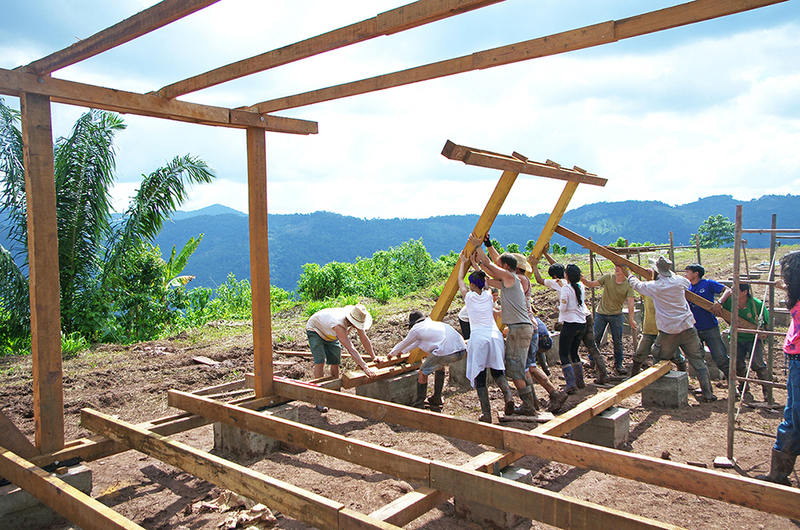 The preparation phase (May – October 2013) included a first meeting with the Peruvian collaborators (Creciendo + Construye Identidad), a visit of the construction site and the research of local conditions. During the design phase (October – December 2013) 15 students of the University of Stuttgart designed the new school-building in the context of a 3-month university program, always in consultation with the Peruvian collaborators, investigating different materials, machines and tools. Additionally field trips and lectures were realized. 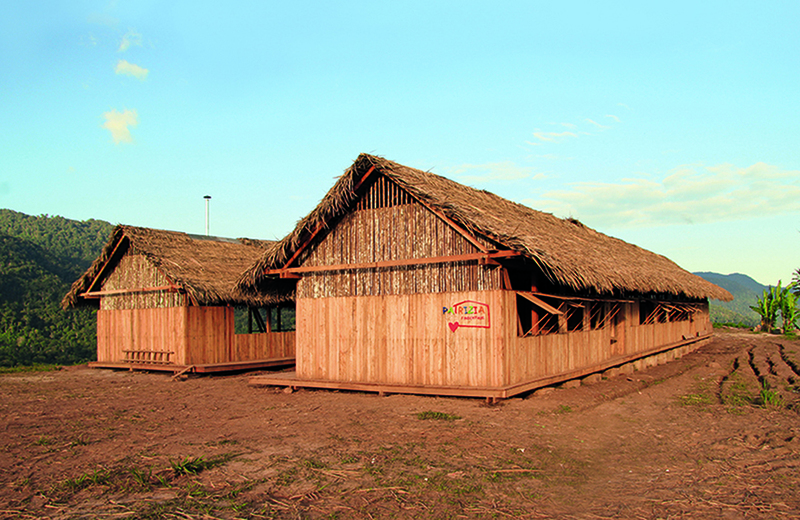 In January 2013 started the development of construction details, the purchase of building material and the travel to Peru. During the whole process the work of fundraising needed to be realized. The construction phase took six weeks (February – March 2014). 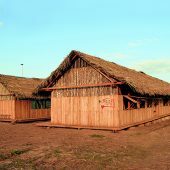 Research Question: Vernacular architecture and construction methods in the Peruvian Rainforest. The project responds to the question of how important experience in physical construction is to students of architecture. Experience within the construction of a project designed by themselves is an experience crucial in the training of architects. 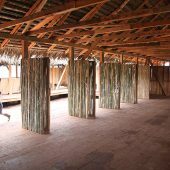 Architecture, Permanent, Undergraduate, Months, Self-funded, 11-50, +, Sponsorship, Collaboration, Curricular, Students with tutor, Junin, Stuttgart Univ.